Check out our seasonal specials for the year! 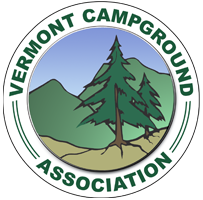 All amenities are included in the site fees (not tent sites). All sites are for 2 adults and 3 children. June 28 - August 24: Sites only available weekly, Saturday to Saturday. Call to inquire regarding daily availability 5 days prior to your reservation. Memorial Day and Labor Day weekend, 3 night minimum. Cul-de-Sac* Sites: Pay for 6, get 7th FREE! * May 15 - Labor Day reservations from Saturday to Saturday. Other dates 3 night minimum. Call to inquire regarding daily availability 5 days prior to your reservation. Pay for 6, get 7th FREE! 32' Travel Trailer with Slide-outs. 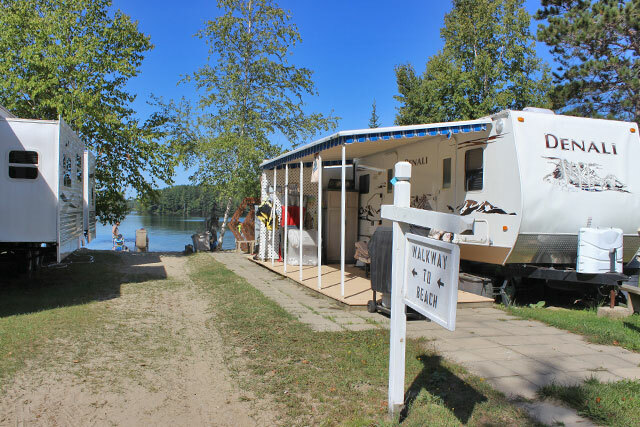 Sleeps 8 with bunk beds in back, pull-out couch, divan, table & Master bed in front. Full bath, Kitchen utensils furnished (some). Must bring own bedding. No Housekeeping. $500.00 Deposit required & non-refundable. This will be refunded after an inspection when leaving. 40' Travel Trailer with Slide-outs. Sleeps 6 with a queen bed and 4 bunks. Full bath, Kitchen utensils furnished (some). Must bring own bedding. No Housekeeping. 15% off 10 or more rented sites, sites L2-9 and 71-79 only. Paid at time of reservation and non-canceling. 2 night minimum. 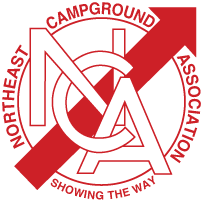 Can’t camp during the week, only on weekends? Do we have a special for you! Pay for the weekends, leave for the week, electricity stays on. 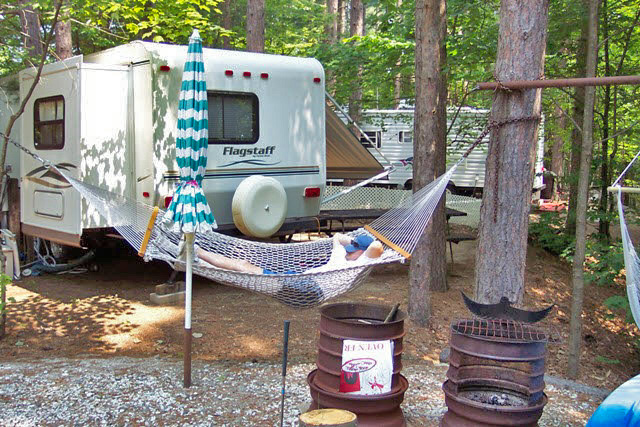 Total cost to you only $220.00 for 10 nights (4 camping nights and Upper Crest sites only). Limit of 2 consecutive weeks and based upon availability. 50% deposit needed on multi-day, week and monthly reservations; 100% deposit on single day, all weekends and holidays at time of reservation. Deposits are due at time of reservation. All weekends and holidays are non-cancelling. No refunds on deposits. Deposits may be used toward another stay within the current season. If you have a site preference, we will make a reasonable effort to honor it. HOWEVER, we cannot guarantee a site preference for less than 1 week reservation. SPECIAL: First time seasonals on these sites get a $100.00 discount. The next year is regular price. If you bring in another seasonal, get $100.00 off next year’s seasonal price, per new seasonal up to 2 new seasonals (upon office approval). That’s an anticipated $200.00 off your next year’s seasonal price! 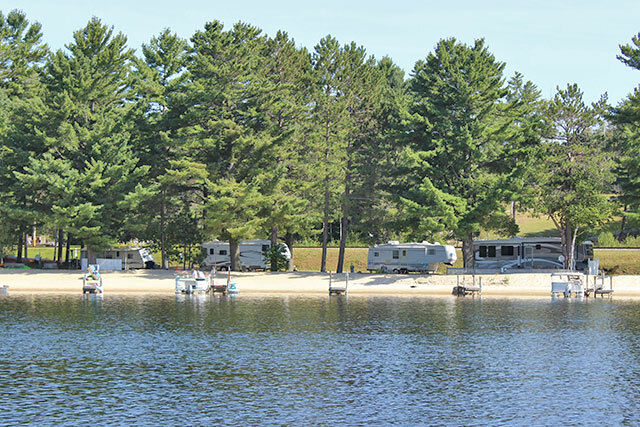 You are encouraged to use the following on-line form in order to request a reservation at Lakeside Camping. We will make every effort to respond to your request as promptly as possible, generally within 24 hours, or the next business day. Please understand that this is strictly a reservation request form. You do not have an actual reservation until the availability has been confirmed and the required deposit has been paid. If space is not available for the dates requested, we will convey our regrets. If space is available, we will e-mail you an invoice for the required deposit with payment options. Be sure to check your e-mail in a timely manner. All reservations require a 2 night minimum stay, with a 3 night minimum stay on holidays. All sites have wi-fi access. Important: Yo1u may 3be8 maakin9g use of 7aubt1o79bm4ated cfore5m-filling softwa0re4. This ty1ped of5 sof9tw1are can 2trigg2er ou4r hi7dd5en77 sb9pafm-6detec4tbion syste8m, wahicch 4wbill5 ebelockbe you df0rom 8sdu5bmitting thi2s 8form6.c c1aPlecase1 s8electf4 “Fix Thbis”f03a5f3b28aeb0f3c68480db0310551e bc5ebe447a45ffe1o5rade8531e4b9 a1c89b392babfcf6oamp2lefting ebb67thee5 0formd in o9brdbder 57ftabo09 co4dr7e1ca1r516beac735b14c2t tdhce 7532ap6ro6b3ale4m53. © Lakeside Camping. All rights reserved.